Before you get all bent out of shape, no, we did not buy penguins from some black market, back street, exotic butcher that deals in spotted owl as well. 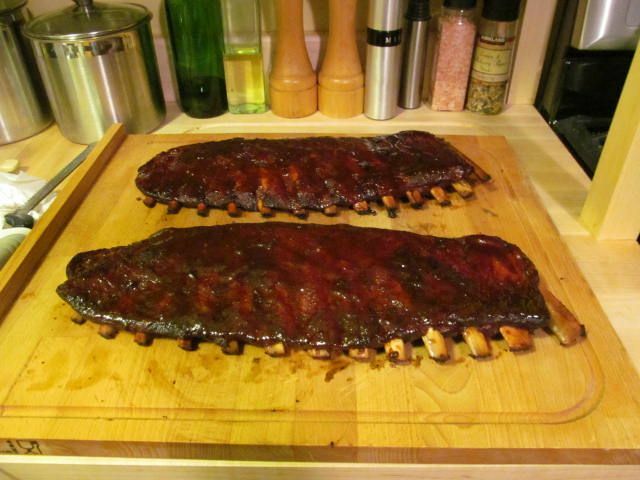 We just made a few racks of spares for our last practice and gobbled them up while watching a Penguin playoff game. 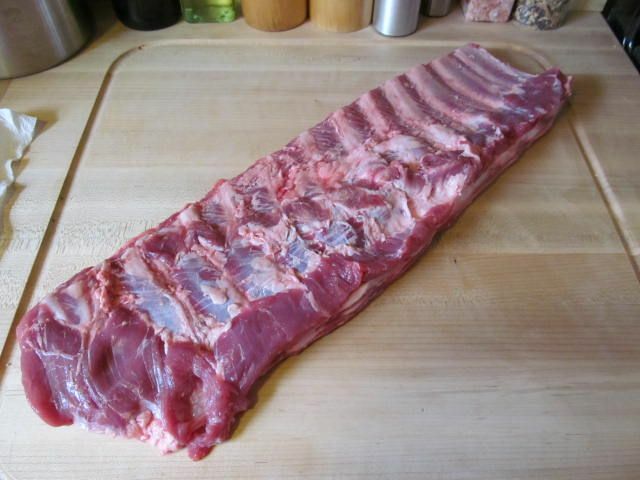 What goes better than ribs, beer, and playoff hockey? Were were trying some different rub and sauce combinations. We couldn't make a choice before, so this was sort of like a single elimination contest between our top four combinations. What were the combinations? 1. 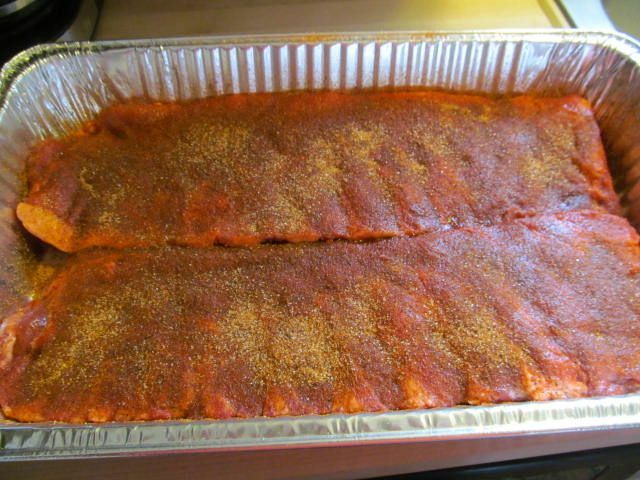 Oakridge Pork and Chicken rub, Franks Sweet Chili during foil time, Blues Hog Regular with Blues Hog Tennessee Red for the sauce. 2. Oakridge Pork and Chicken rub, standard foiling technique, Blues Hog Regular with Blues Hog Tennessee Red for the sauce. 3. 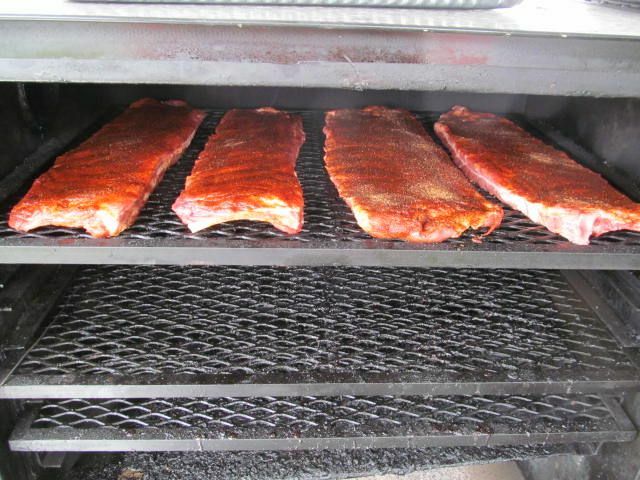 Oakridge Beef and Pork rub, Franks Sweet Chili during foil time, Blues Hog Regular with Blues Hog Tennessee Red for the sauce. 4. 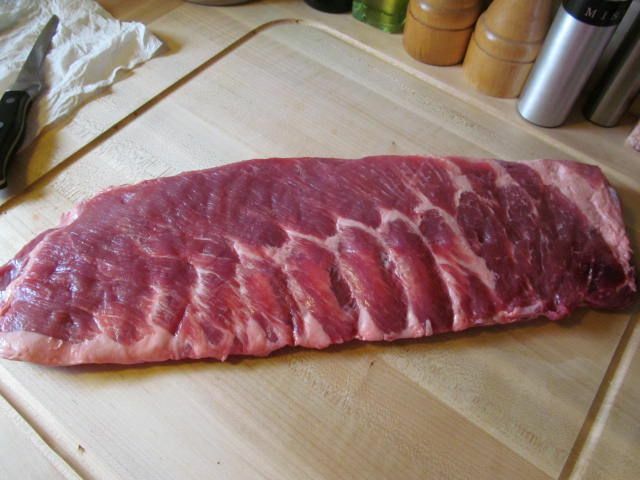 Oakridge Beef and Pork rub, standard foiling technique, Blues Hog Regular with Blues Hog Tennessee Red for the sauce. I know, doesn't sound like a lot of variation, but there was. 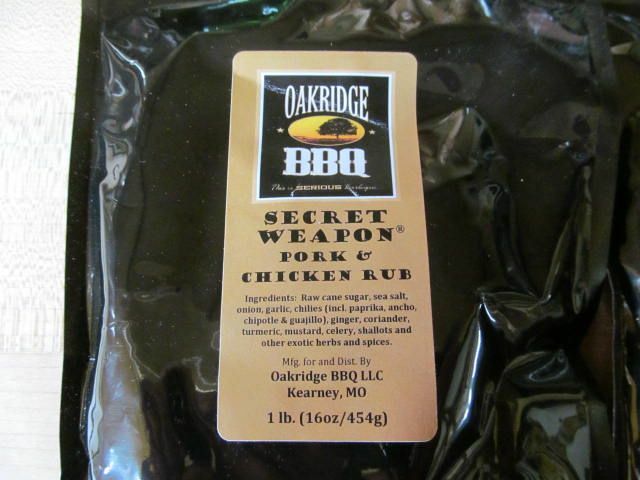 The Oakridge Beef and Pork rub has an extra kick of heat that the Pork and Chicken rub does not. 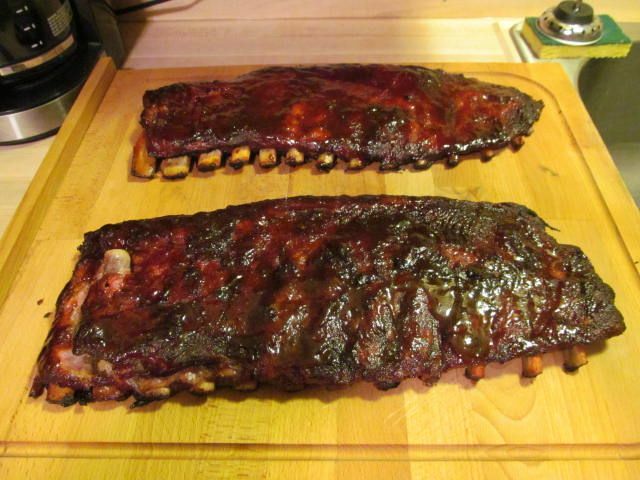 Also, the Franks Sweet Chili sauce adds a nice level of sweet to the ribs, along with a nice chili flavor. 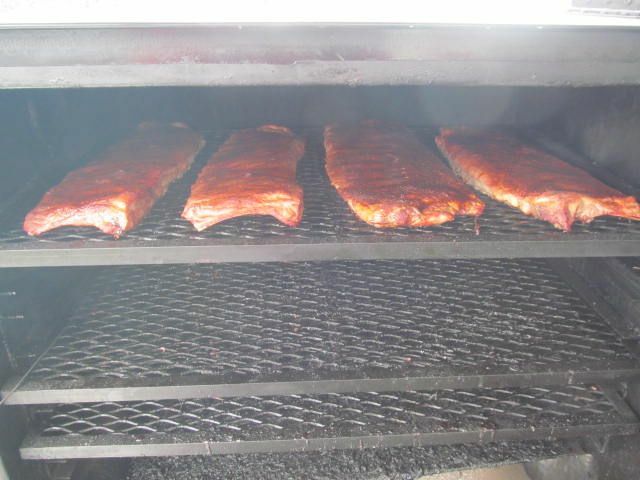 We cooked these spares at 235 F with apple, hickory, and pecan. 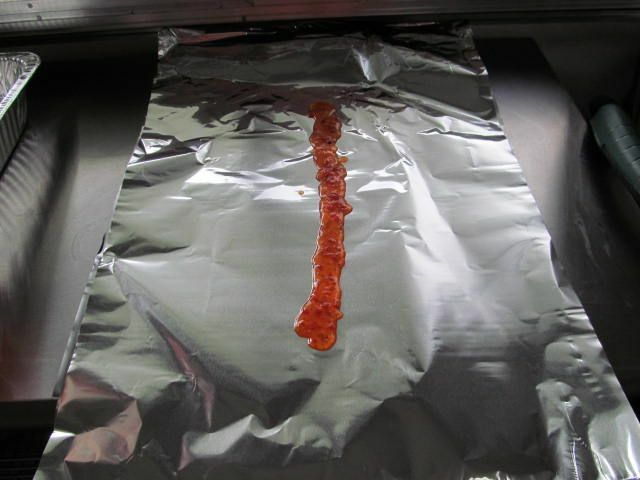 Three hours on the rack, one hour in foil, and one hour back on the rack with sauce for glazing. Which combo won you ask? Well, it was #3: Oakridge Beef and Pork rub, Franks Sweet Chili during the foil, Blues Hog sauce combo. The very slight bite from the rub is balanced perfectly by the sweet from the Franks and Blues Hog sauce. All throughout you get the undertone of chili that comes from the Franks as well. A winner for sure. Oh, who won the Penguin game? 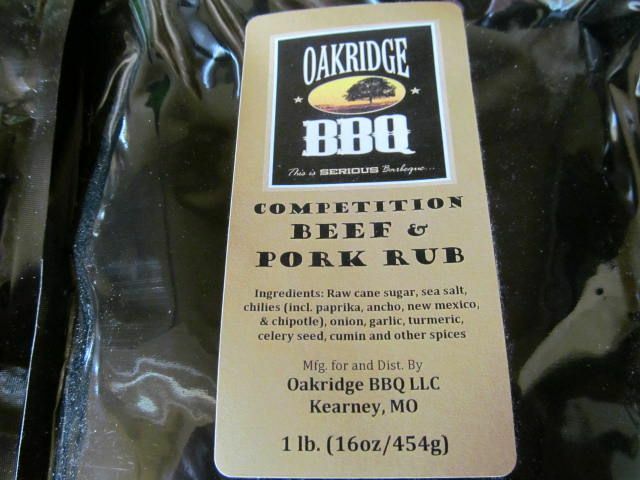 Oakridge makes quality rubs. Your post and pictures had me drooling. I have to wait till next week for a competition.